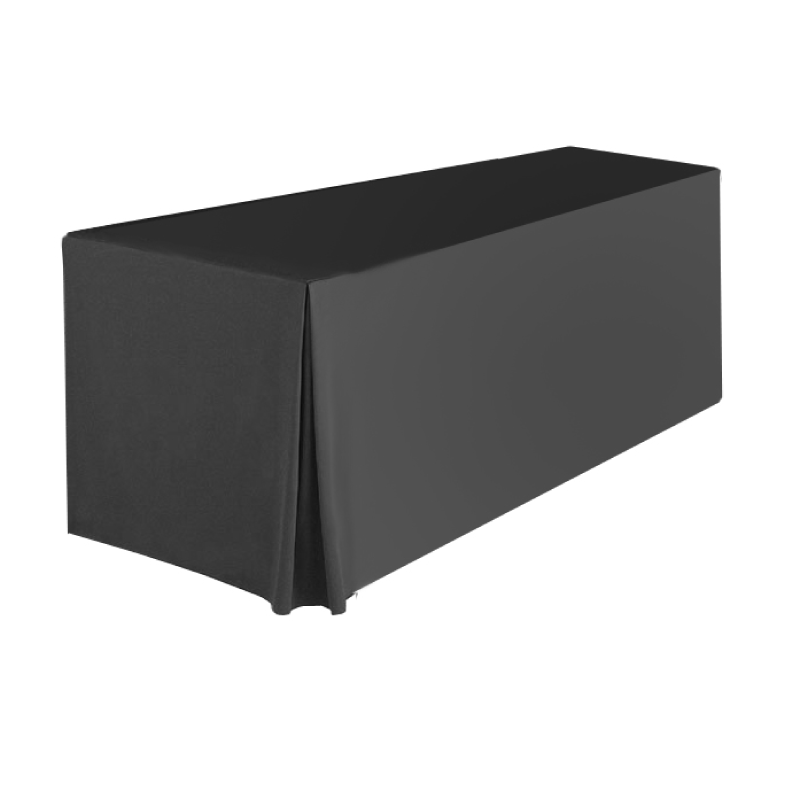 A fitted cover is a table skirt and topper sewn together as one unit, providing an attractive table cover without the use of clips, pins, hook and loop fasteners or staples. Simply drop over the table for a one-step set-up. These covers are available in all pleat styles. The most popular style is – the Flat Panel Fitted Set – sewn with no pleats except for the inverted pleats on the corners for a custom fit. The tailored fit and clean lines lend itself to a modern table setting. When ordering remember to include your table length, width and height (e.g. 180cm Length x 75cm Width x 71cm Height).